LED panel lights are popular because of many reasons i.e. their efficiency and benefits over conventional lights among many other things. It is a fact that LED lighting technology has revolutionized the lighting industry. There are very many LED lighting products in the market today. Our focus in this article will be some of the best LED chip brands in the market today. It is important to note that there are very many LED chip brands in the market today because of the popularity of LED technology however not all are brands are high quality. Our focus in this guide will be on some of the best LED chip brands for LED panel lights. Let’s first focus on some of the top LED chip manufacturers in the world starting with Asian manufacturers and then shift our focus to top LED chip brands. Samsung, Epistar (ES), LumenMax, Canton Ga photovoltaic (Huga), Genesis Photonics (New Century), Arima Opto electronics or AOC, Tekcore (Thai Valley Optical), Lian-Sheng (HPO), Opto (ED), Han Kuang (HL), Tyntek (TK), Huaxing (Ledtech Electronics), Light tripod, Unity Opto Technology, Everlight Electronics), (Bright LED Electronics), Kingbright, Ligitek Electronics, Lingsen Precision Industries and HARVATEK etc. In the mainland China region, we have manufacturers like; Shanghai Blu-ray or (Epilight) popularly referred to as (E), SL or Shilan Ming core, Di optical source, Nanchang, Hua Canguang electricity, Yan Lei, Lide Hebei, Shanghai Jinqiao Chen, Hebei exchange energy, Shenzhen Century Epitech, Shenzhen Orient, Puguang Guangzhou, Litemax, Yangzhou Huaxia integration, Shandong Huaguang and Shanghai Sapphire e.t.c. The above LED chip manufacturers make some of the top LED chip brands mentioned below namely; CREE, OSRAM and NICHIA. Cree LED chips are definitely one of the best LED chip brands in the market today. The chips are made by the CREE Company, an American company with many subsidiary companies in Asia manufacturing LED chips or chip components on their behalf. Cree LED chips are made using silicon carbide, gallium nitride and silicon among other related compounds for the bases including green, blue and ultraviolet light emitting diodes (LEDs). The chips also feature; UV lasers, radio frequency, microwave and power switching devices. Osram LED chips are made in Asia by Opto which is the world’s 2nd largest manufacturer of sensors, image processors and lighting products. Although the headquarters of Opto is based in Germany, the company’s manufacturing base is in Asia (Malaysia). Osram LED chips are undoubtedly the best in terms of color variety, size variety, long life and energy efficiency. Epistar is the largest manufacturer of light-emitting diodes (LEDs) in Taiwan. 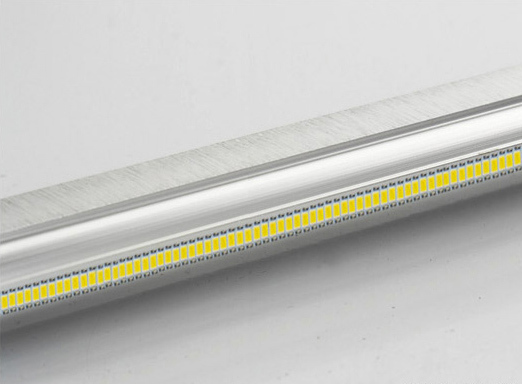 Their LED chips combine the unique package structure and excellent heat dissipation which enables LED panel lights to maintain consistent color and a reduced drop in lumens. Another top LED chip brand is Nichia. Nichia LED chips are manufactured in Japan. Nichia LED chip brands became popular over 5 and a half decades ago (in 1956) for being the first coloured LED chips. Today they are popular for many other things apart from color variety i.e. durability, energy efficiency, flexibility etc. Samsung LED chips provide a very good color rendering index with superior thermal characteristics and feature high brightness at low power consumption. Their high quality light output makes them ideal for retrofit lamps, premium bulbs, ambient lighting, and LED tubes. LumenMax Optoelectronics is a Taiwan based LED and LED module manufacturer. LumenMax LEDs are a energy efficient and ultra compact new light source and features high brightness at low power consumption. LumenMax’s products include 3014, 5630 chips, and high power LEDs for 1W and 3W. In summary, the above information is adequate enough to guide you when you are looking for the best LED chip brands in the market today. It is however important to note that there are many good LED Chip brands for LED panel lights that haven’t been mentioned above. This guide should therefore be used as a basis for further research.